Sheelin Meats is a family run business established in 1997. Sheelin Meats aptly named because of its location, overlooking the beautiful shores of lough Sheelin in Carrick, Finea, Co. Cavan, was setup by Gerry and Patricia Galligan in 1997. 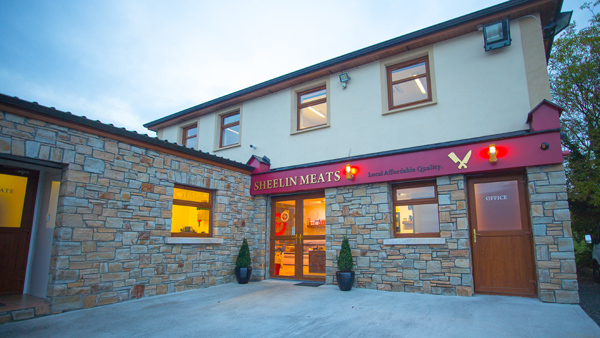 Sheelin Meats is a family run business which borders the four counties of Cavan, Longford, Meath and Westmeath. We offer a wide range of products at wholesale prices to retail and catering trade. It is our commitment to offer our customers the very best product at the very best price. At Sheelin Meats, we guarantee our customers the finest cuts and products every day at prices everyone can enjoy. If you are not completely happy with our products, services or have any questions or concerns about your purchase, you’re welcome to contact me personally and I will be happy to make sure your concerns are addressed and your experience is a good one.